This week week I bought a new mask. The old one is still good; actually we are best friends and have great memories together. 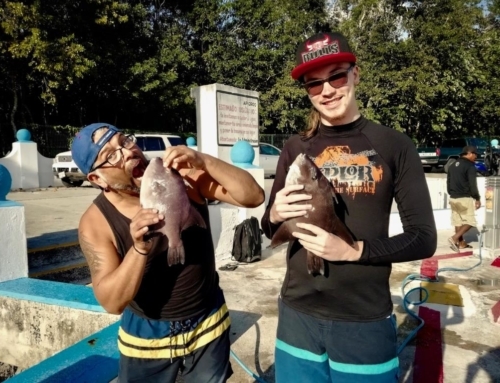 We blacked out together and shot fish together triple the size of registered World Records. 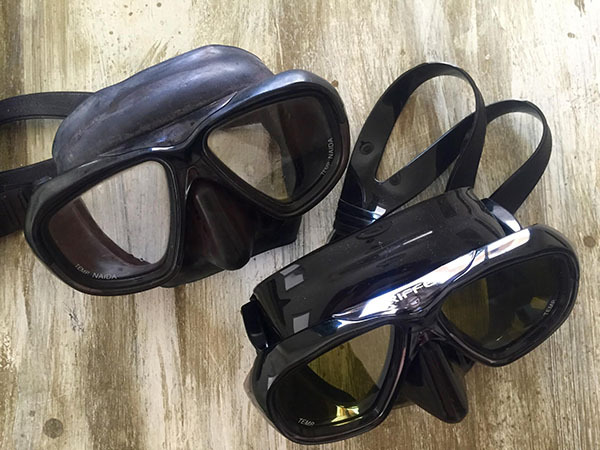 I thought it might be a good idea to share some thoughts about what is the Best Spearfishing Freediving Mask? So here we have a very good point: quality. You get what you pay for. Some brands with a good name might offer freediving and spearfishing masks, a third of what this Riffe masks costs. Tempting. We did it, done it. Bang, after one week the strap breaks; after one month the glass falls out (no kidding), etc: 35 usd wasted. Making a good speargun does not mean the same brand offers a good mask. So do your research, check other people’s experiences. Or drop us an e-mail, and we share our opinion. Try to stay away from traditional scuba masks. Look for so called LOW volume masks. This will save you air and are easier to equalize and on top of that… they are considerably lighter! Ultra low volume masks work when you only freedive and don’t spearfish; it will give you considerable less view. Personally we like to have black silicon masks. The see through/white ones will cause reflection of sun inside your mask, mmm, not so good. It speaks for itself that a mask should fit you properly and comfortably. All our faces are different. You can buy online, but if you can… try one on before you buy. Go to a shop, or friends/other spearos might have masks you can try. It is easy, 30 seconds only. Put on the mask without being in the water; feel if it seals well. Laugh, be angry, move your lips, open your mouth and check how the masks stays sealed. Last point. The lense color. Most common is the clear lens, a lens like a regular window. Works great everywhere. An Amber lens definitely helps you when you spearfish in areas with not so good visibility, you will see more contrast. When you spearfish a lot, the extra costs for Amber is worth it. Mirror lens… Kind of funny. Manufacturers state fish can not see your eyes and basically imply you will have a better chance on getting your fish. I dare to say that that is complete &(“%)”! I think it is actually the opposite, fish might laugh at you looking like ocean vice.